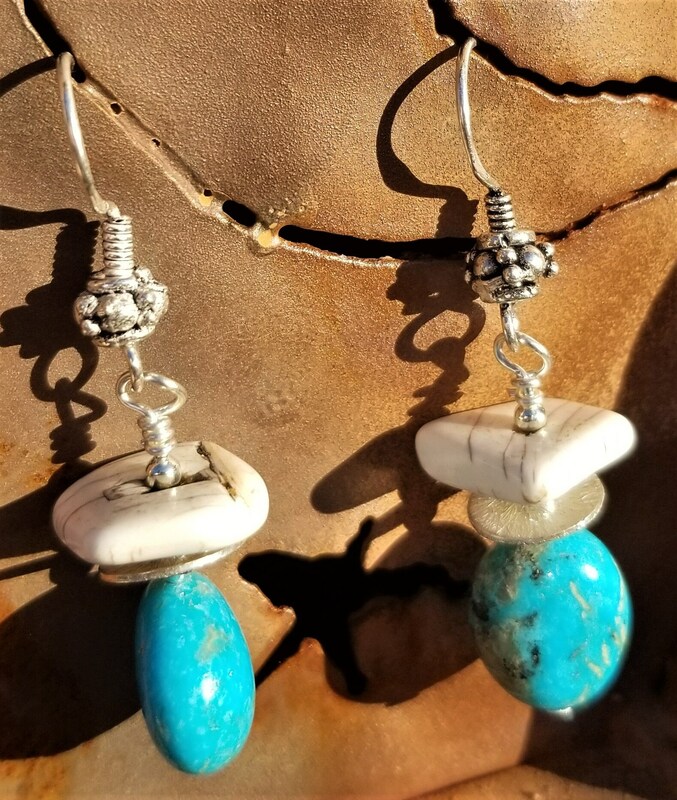 Stunning turquoise nuggets from the Kingman mine in Kingman, AZ paired with African bone are combined for these gorgeous earrings. 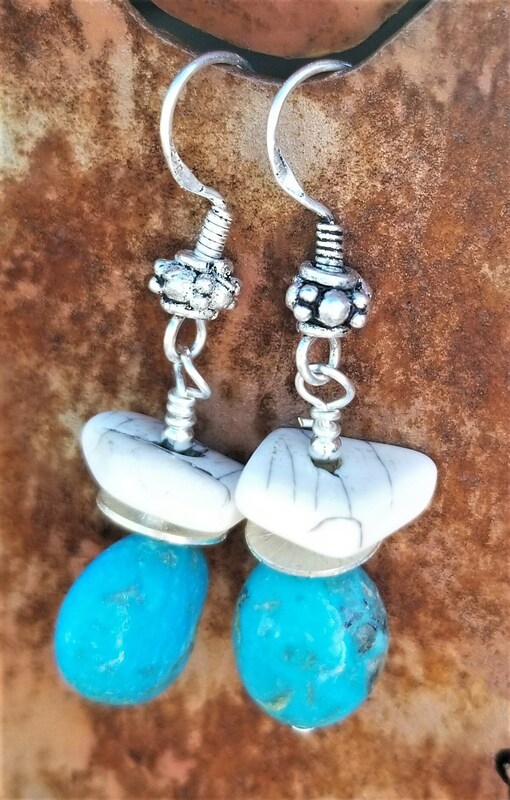 The earrings are approximately 1-1/2" long. There's a wonderful necklace these will match in the Turquoise Necklace section.